Plot Summary, The Fifth Holy Grail War Begins in the First Adaptation! 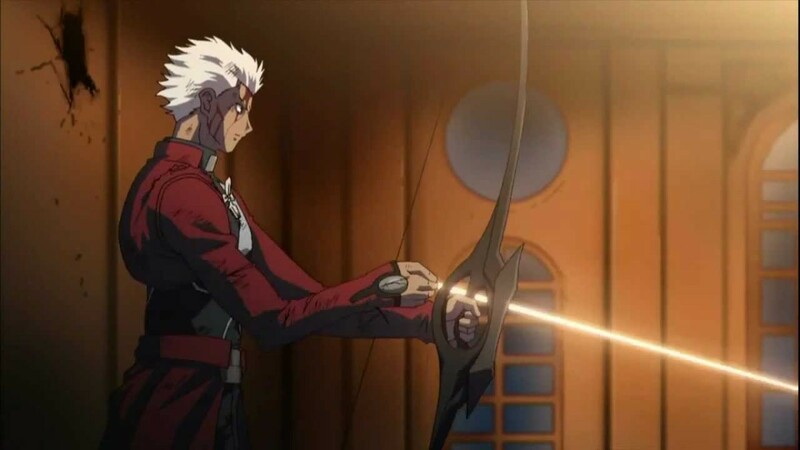 Five years after Fate/Zero's Fourth Holy Grail, Shirou Emiya, the adopted son of Kiritsugu Emiya is dragged into the Fifth Holy Grail War, accidentally witnessing a confrontation between two historical figures, known for their warrior classes as Archer and Lancer. 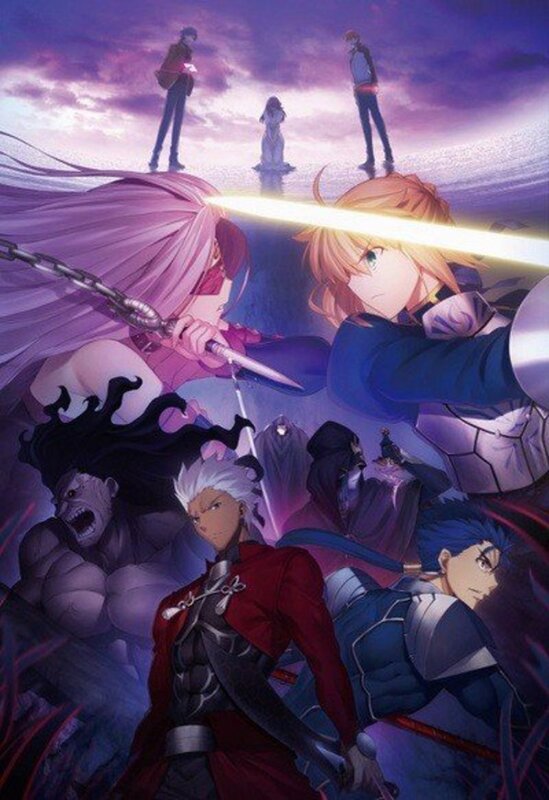 Being murdered by Lancer for being a witness to the secret war, Shirou is resurrected by Rin Tohsaka and is attacked by Lancer again, he inadvertently summons Saber, a Heroic Spirit, and together, they fight to obtain the Holy Grail to have a wish granted. 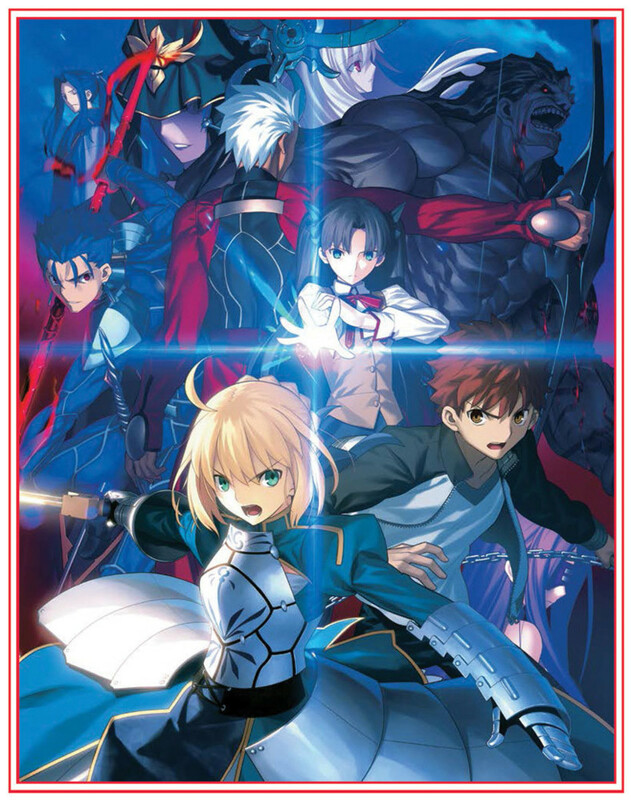 This is a very odd adaptation, it combines elements from all three routes by telling the story of the first Route, Saber's route, known as the Fate Route, but it has elements of Unlimited Blade Works and some character revelations regarding character histories from the third route, Heaven's Feel. 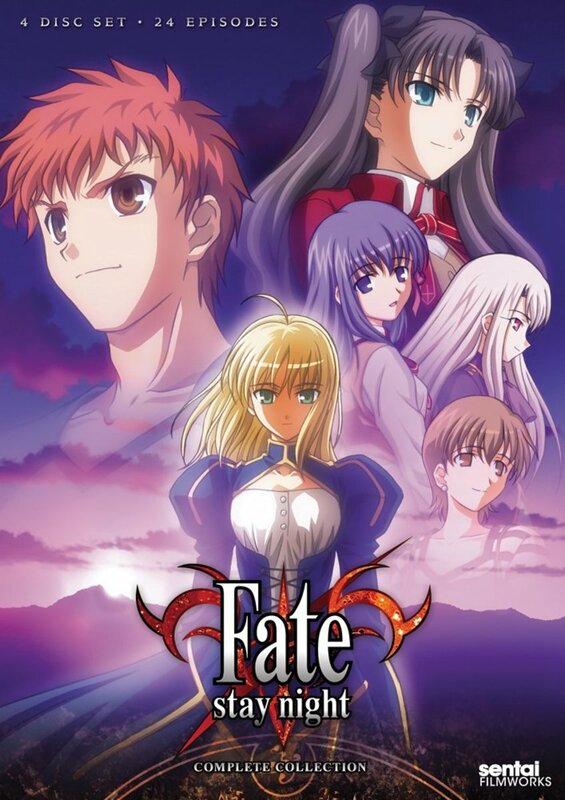 Because this adaptation is not a direct adaptation of the Fate route, it makes it a very odd way to tell the story, especially if you've watched the movie adaption of Fate/Stay Night: Unlimited Blade Works (2010) or the Ufotable remake Fate/Stay Night: Unlimited Blade Works (2014), and there are scenes in the original adaptation that was not in the Fate route. I like the adaptation because it's a very simple story, and it's not bogged down by walls of text exposition that plagues the Ufotable adaptations of the Fate franchise, They will give you enough exposition but won't drag it on for what seems like forever. The story is well worth watching, especially if you've watched Fate/Zero (2011) because it gives Saber a much more satisfying resolution to her issues shown in Fate/Zero, Unlimited Blade Works (2014) did give her resolution, but I like what the Fate route did for her more than the new adaptation. Many diehard Fate/Stay Night fans, especially fans of the visual novel call this a "bad" adaptation, but I don't think it's as bad as they say it is, the Visual Novel is overhyped because people gush about it, despite the fact that the Ufotable translations of the adaptation do a better job translating than the fan translation that all the fans are reading. There are grammar errors all over the fan translation. 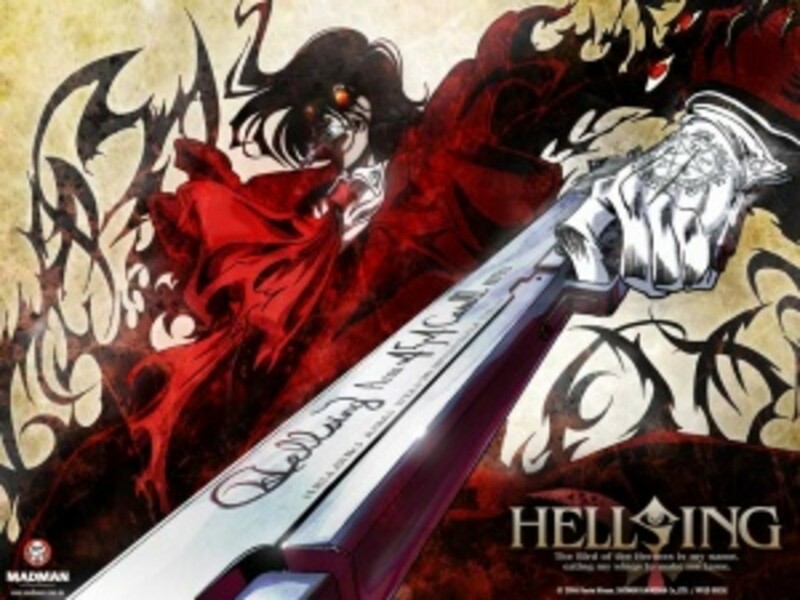 The translation of this anime was alright, but some times things were butchered in pronunciation in the English dub such as Gae Bolg, which was pronounced "gay bulge" by the actor, so even this translation is very odd in English, also they don't call them Heroic Spirits, they refer to them as Epic Spirits. So this translation is all right, but it's still better than some of the bad grammar I've seen in the Visual Novel fan translation. Dated Animation, but More Cues From The Visual Novel! The animation is eleven years old, so of course, it's not going to be as fluid or as vibrant as Ufotable's Fate/Zero or their adaptation of Unlimited Blade Works (2014). 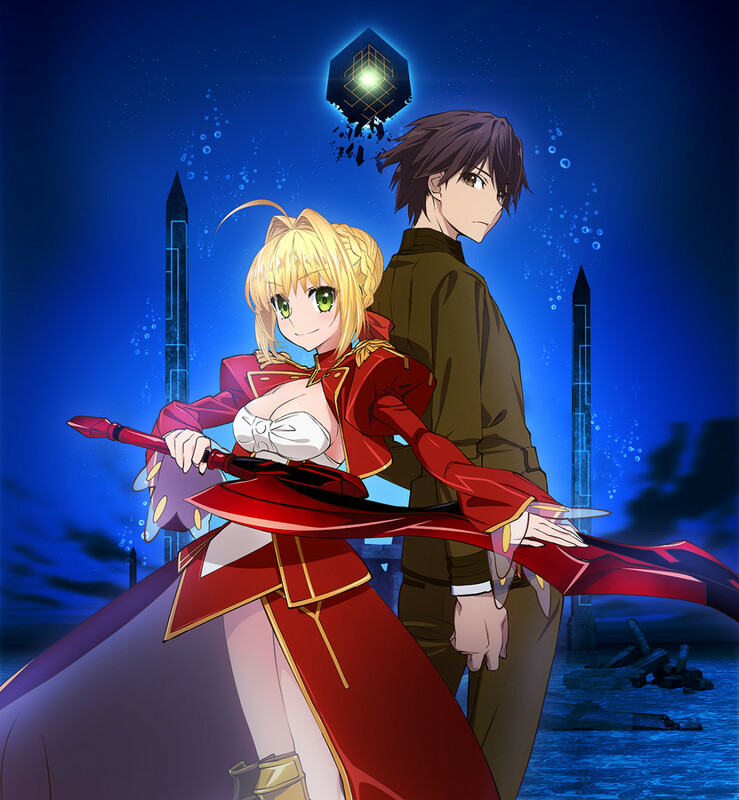 It is stil visually appealing and uses iconic scenes from the visual novel that I really liked, Even if the animation isn't fluid and the 3D dragon in one of the episodes is the ugliest 3D animation I've seen in anime, it still does a decent job adapting the story, even if pulling from the other routes, Unlimited Blade Works and Heaven's Feel makes the adaptation an odd one, the creative choice to pull aspects from the other routes is odd because each route stands on its own as a single story. The animation is not "rubbish", I think that fans are harsh on it after being spoiled by Ufotable's Fate adaptation, but it's very limited compared to anime that came out at the time. I would like a remake of this route because Unfotable's animation is definitely better, mainly in the fight scenes, but for all the fluidity of Ufotable, I like Studio Deen's use of the iconic imagery from the visual novel. A Decent Dub, but I Reccomend Subtitles for This Adaptation! The voice cast for Fate/Stay Night is great in Japanese, and I really like all the Seiyus. Ayako Kawasumi was fantastic as Saber sounds perfect and dignified. She did a really great job. Kana Ueda is also really great as Rin Tohsaka and she, like most of the other seiyus got to keep her voice too, she was very good and I'm happy that she got to keep her role throughout the entire Fate franchise as the English cast has multiple actors for certain characters and is inconsistent. But my favorite seiyuu in the voice cast is Noriaki Sugiyama as Shirou Emiya. He just sounds perfect as Shirou's voice and Sam Riegel can't quite do Shirou's voice like he does, and neither can Bryce Papenbrook. The English cast is pretty good, with the main flaw being Shirou's voice actor, Sam Regal, not that he's "bad" but he just doesn't quite sound like Shirou to me, probably because I watched Unlimited Blade works (2014) first before watching the 2006 adaptation. Mella Lee is great as Rin, the only difference between her performance in 2006 and 2014 is that she seemed to pitch her voice higher in Unlimited Blade Works (2014) for some reason, she sounds lower in this adaptation. The standout performance in the English dub is Kate Higgins, she doesn't quite sound as dignified as Khari Walgren, but she did a wonderful job as Saber, and I wish they would have kept her in the Ufotable adaptations too. Because the Fate franchise has many inconsistent English dubs, if you want the same voice cast you should stick with the Japanese language track. The English dub is okay, but the Japanese dub was so much better. The adaptation is flawed and the animation may be dated, and the English cast is just average with some standouts and the Japanese dub is better, but everyone agrees, whether you love or hate this adaptation, Kenji Kawai's soundtrack was gorgeous. The soundtrack takes a lot of songs from the visual novel and it just sounds lovely. It's one of the best aspects of the adaptation, and only Yuki Kajura's soundtrack is as memorable in the anime adaptation of Fate/Zero as Kenji Kawai's soundtrack for this series. 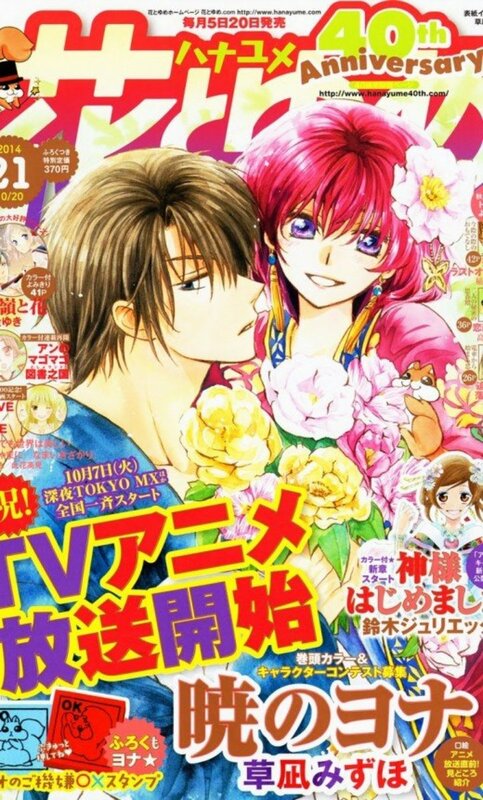 The openings are "disillusion" by Sachi Tainaka (episodes 1-14), "Kirameku Namida wa Hoshi ni" by Sachi Tainaka (Epodes 15-23). The endings are "Anata ga Ita Mori (あなたがいた森)" by Jyukai (episodes 01-13, 15-23), "Hikari (ヒカリ)" by Jyukai (episode 14), and "Kimi to no Ashita (君との明日)" by Sachi Tainaka (episode 24). Even if you hate this adaptation, you should watch it for the soundtrack alone. Will You Watch Fate/Stay Night (2006)? Yes, I'll buy it for $5.00. It's a Decent Series, But Stream it Rather Than Buy It! This is a good introduction to the Fate franchise because it's not too exposition dumpy, but it keeps the story simple. 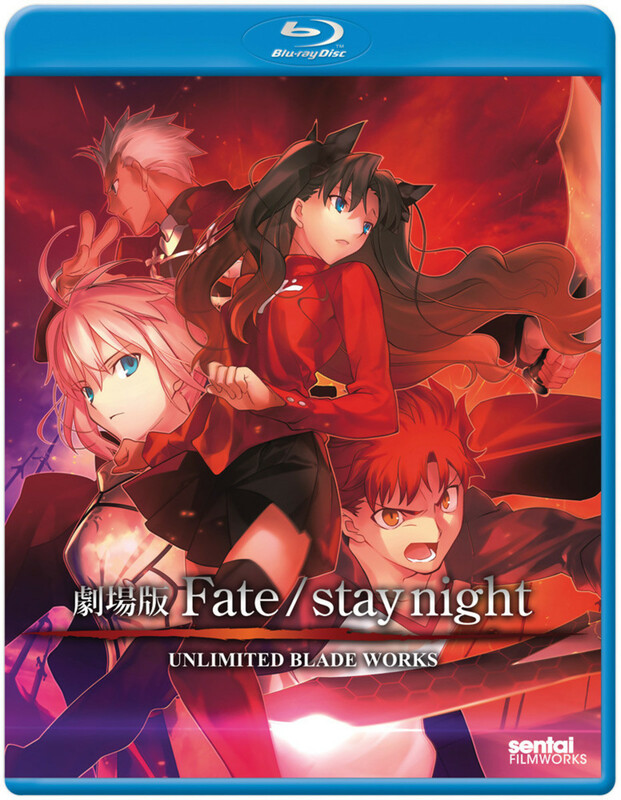 It's flawed because of some odd choices to combine aspects from all three routes, but it's still worth watching, see it at least once if you enjoyed any other adaptations of Fate/Stay Night, but only pick it up if you really enjoyed it, or if it's on sale at RightStuAnimef for $5.00 for the complete series. 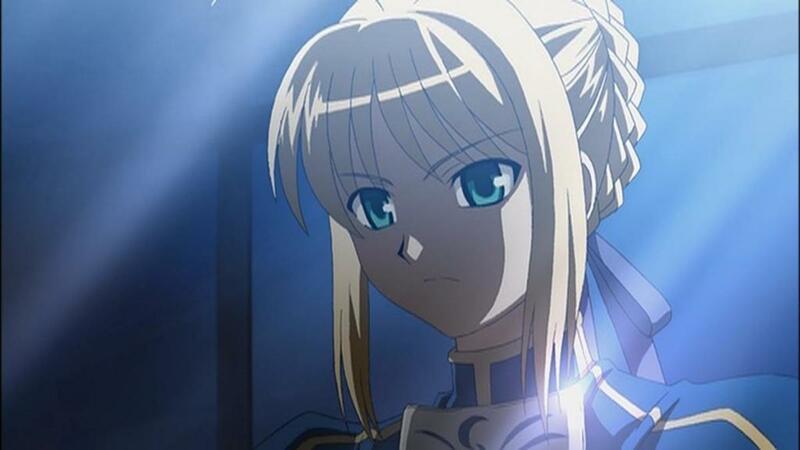 For all the flaws of Fate/Stay Night (2006), I really enjoyed the story, because Saber is my favorite character, and yes, despite it's flaws, I like this more than the drop dead gorgeous Ufotable adaptation of Unlimited Blade works (2014) because it gave my favorite character the closure she needed from Fate/Zero, sure Shirou's not as amazing as he was in the second route, adapted in 2014, but he still has good character development and growth, and he and Saber go well together as a couple, and I find their relationship to be much more interesting than his relationship with Rin as the romantic interest. Despite its many flaws, it's still worth watching, maybe not owning, watching it on legal streaming is worth it, that way if you don't like it, you didn't buy it. But see it once and judge it for yourself. This is the series that first exposed us to Shirou, the boy who wanted to be a Hero of Justice. And yes, if you're wondering, just like every other Fate/Stay Night fan, I want Ufotable to remake this route as a TV season. Part 1 of the Fate/Stay Night Heaven's Feel trilogy, Fate/Stay Night: Heaven's Feel I: Pressage Flower (2017) has been released in Japanese with English subtitles with the English dub is also available on blu-ray in both a standard edition and special edition that comes with an artbook, a behind-the-scenes booklet, and the anime movie's soundtrack. The alternate universe spin-off Fate/Apocrypha (2017), which is an alternate universe that replaces Fate/Zero is streaming exclusively on Netflix. 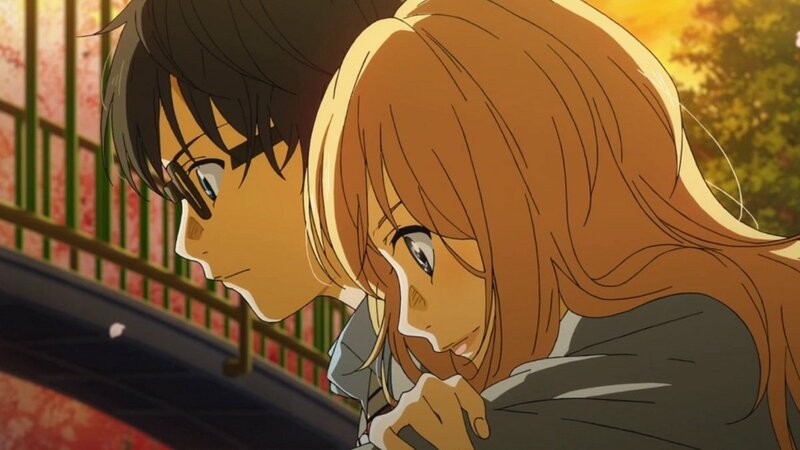 oate/Extra Last Encore (2018) is also a Netflix exclusive. You can also read my guide, "How Do You get into Fate/Stay Night?" for watch order recommendations. I edited my article so it says that it combines elements from all three routes, thank you for letting me know about that slip-up. "it combines all three routes"
While there are elements from other 2 routes in the end the anime is still 98% Fate route with elements borrowed from UBW and HF are not noticeable and do not spoil anything. This '3 routes' myth has been circulating for ages and nobody bothered to check if it was true, only those who read VN can tell that this statement is not true.